Part of my goals for 2016 is to buy less things for my wardrobe and home. Today I want to talk about how I have been using what I already own to decorate and make my home comfortable. I recently found this blog and love the idea of living in a small home and making the most of what we have. Carmella writes a series about using what you have, and after reading the last one, I realized I have been doing that for several months now, prior to reading her blog. 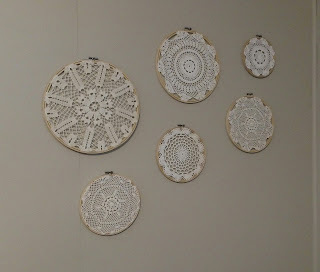 A few of my grandma's doilies were framed and used as art on the walls. I still have several more I want to frame and add to this wall, but this is what I have done so far. 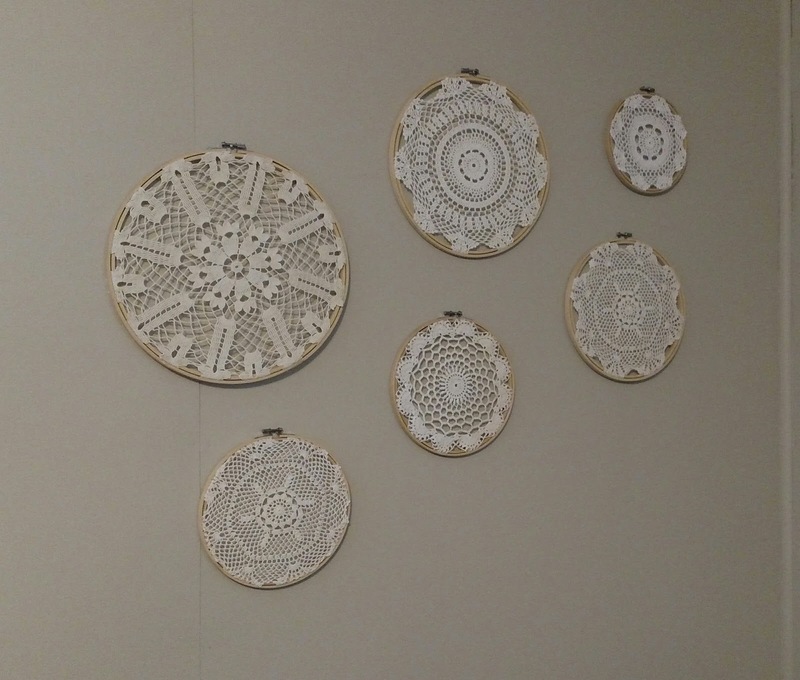 Simple embroidery hoops were used, so the cost was minimal. Others have been added to end tables, serving their original purpose. 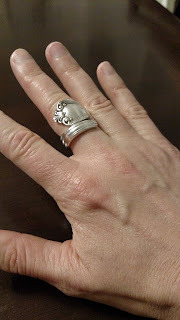 Some extra silver from my mom's silverware set was used to make rings for my daughters and myself for Christmas. I still have a complete set to pass on to one of the girls someday, and we all have a piece to remember mom. 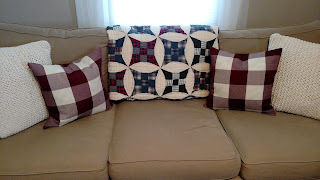 Remington's crib quilt had been in storage for over 10 years. I couldn't bring myself to get rid of it, but realized it would make a great throw blanket this winter. 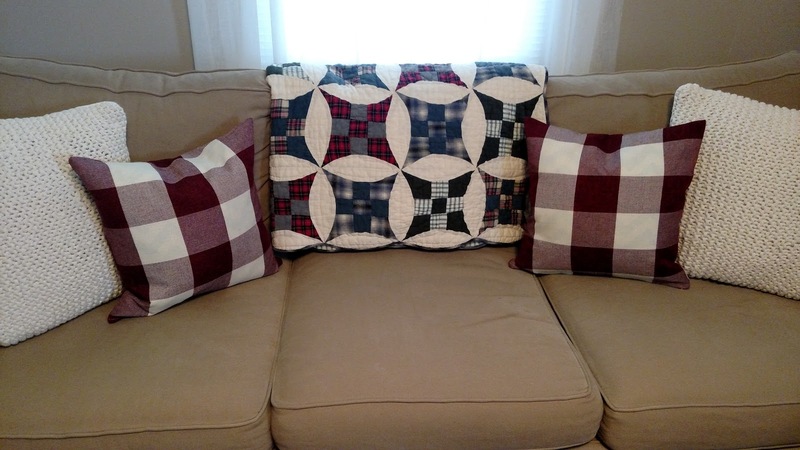 The plaid is more of a type of "winter decor," and it's very cozy for curling up on the sofa for a movie or with a book. While it won't stay on the sofa year-round, it is a good addition for chilly months. My Dad's old tool box has been cleaned up and filled with seasonal greenery or flowers. 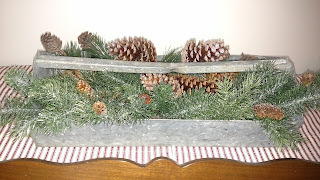 Right now it holds pine cones, but it has held pumpkins, dried lavender, and hydrangeas throughout the year. My great grandmother's handkerchiefs have replaced the tissue box in my purse and by my nightstand, and the pillowcases my mother-in-law embroidered as a child grace our bed. My great-grandfather's shaving cup has been turned into a candle holder and sits on our kitchen table. Old fashioned candy dishes and nut bowls from both our grandparents were dug out and filled with candy and nuts over the holidays. It has been fun adding these "new" things to my home decor....it's like shopping without opening my wallet! It is another way to simplify my life. Rather than bring new things into my home, I use what I have. How about you? 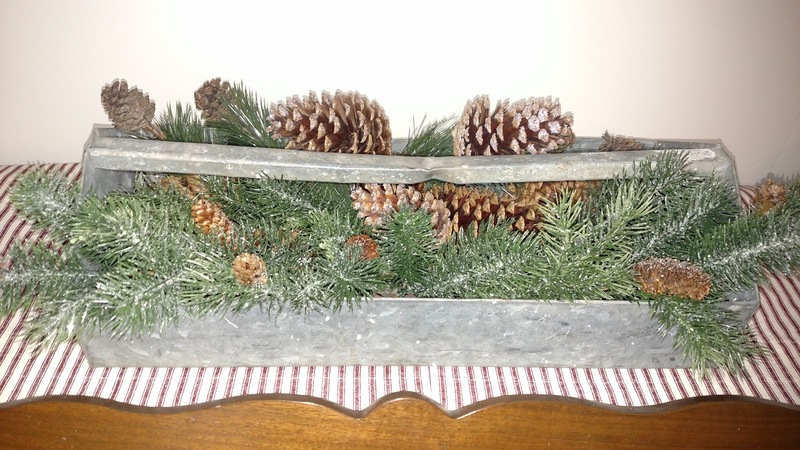 Do you have any family heirlooms you use often or have re-purposed in some new way?